This text has a clear focus on the clinical practice of nursing. The knowledge and skills included in this book are well linked to an acute environment and can be applied in many other areas. Part one explores the fundamentals of nursing care that underpins our profession. Each chapter is well written and to the point, making this book easy to read and accessible for all levels of experience. Healthcare practitioners working in an emergency, intensive care or high dependency setting would benefit from the succinct information about common conditions outlined in part two. This text is appropriate for second- and third-year nursing students, as well as nursing associate trainees, to develop their knowledge. It would prove a useful, quick reference guide for qualified nurses during their preceptorship period and would help to consolidate their nursing knowledge. 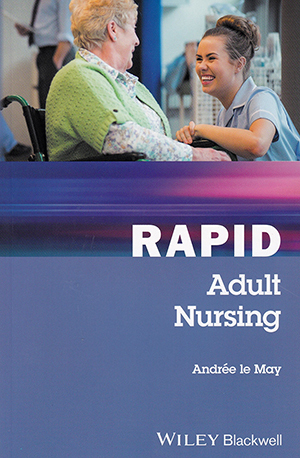 Overall this is a relevant, evidence-based resource that would be an asset to students, trainees and newly-qualified staff and help them gain a firm grasp of basic nursing care.